Vision’s extensive range of hardware and software technologies, combined with independence and world leading technology provides you with complete piece of mind whilst adding value, improved productivity and efficiency to your business. HP is a world leader in technology with a vision to make life better for everyone, everywhere – every person, every organisation, and every community around the globe. This motivates HP, inspires them, to do what they do. To invent, and to reinvent. To engineer experiences that amaze. HP won’t stop pushing ahead, because you won’t stop pushing ahead. With HP technology, you’ll reinvent your world. For more than 70 years, Samsung has been at the forefront of innovation. Their discoveries, inventions and breakthrough products have helped shape the history of the digital revolution. Samsung is dedicated to developing innovative technologies and efficient processes that create new markets, enrich people’s lives and continue to make Samsung a digital leader. Their product range meets all business needs across a variety of solutions prioritising the development of user-friendly technology. Vision are Samsung’s no 1 Global print partner and in 2014 awarded ‘Partner of the Year’ and ‘Innovation Partner of the Year’. In 2015 awarded Samsung’s ‘Capital Partner of the Year’. For over 50 years Canon has delivered pioneering imaging technologies to clients across Europe. The organisation has grown to become a world leading provider of market-driven digital imaging solutions for the office and home environments. Canon has the experience and the expertise to provide clients with outstanding quality and continuously concentrates on research and development to ensure product offerings constantly improves. Canon’s core range of colour and mono office workgroup multifunction devices has strong embedded capabilities and has achieved remarkable success in; increasing productivity, controlling document output costs, meeting data security requirements whilst incorporating environmentally sound technologies. 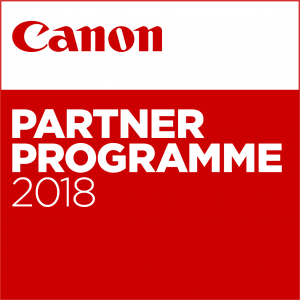 Vision are proud partners of Canon and were in 2016 accredited as Canon’s Advanced Office Imaging and Solutions Partner. With over 80 years’ experience, Ricoh has consistently developed innovation-driven products and services in print and document management solutions. Ricoh offers and innovative approach to solutions based on their desire to accommodate advanced information requirements. Their portfolio consists of over 85 award-winning products from desktop printers, multifunctional devices through to production printing, wide format printers and plotters. 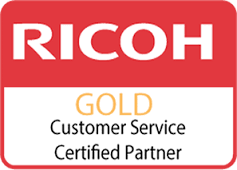 Vision are an accredited Ricoh partner and were certified as a Premium Ricoh Reseller in 2015. Nuance are reinventing the relationship between people and technology. Nuance believe in the power of intelligent systems and, quite specifically, what that power can do for you. Nuance innovations in voice, natural language understanding, reasoning and systems integration come together to create more human technology. eCopy, a multifunctional device document capture solution that enables users to scan documents at the device and convert them into MS Word, Excel and PDF file formats for more distribution and management options. equitrac, a Follow You print management tool that allows documents to be released securely to a user’s chosen device to reduce paper wastage, track print and copy costs and create an audit trail. Papercut, an enterprise level print auditing, print accounting, cost control, recovery, security and reporting software for all print and copy output. 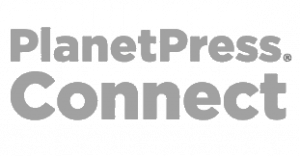 PlanetPress Connect, a variable image and text based tool for creating personalised communications for customers. Vision Remote Fleet Manager (VRFM), Vision’s remote fleet management solution offers our clients print management, automated meter readings, status alerts, device location maps and meter exports for increased uptime. AutoStore, is an award-winning enterprise data capture solution that orchestrates the secure deliver of paper, electronic documents and data into business applications from a wide range of capture points. DocuWare Cloud, is the most effective solution to digitise paper processes, empower knowledge workers to configure custom workflow, and ensure document information is integrated and available from your ERP, CRM and other systems. Nuance® SafeCom®, enables organisations to reduce the number of required printers and reduce operational costs. PrinterOn, – Like many organisations, you may be thinking about moving you’re traditional on-premise infrastructure to the cloud. One of the key components often overlooked during the planning stage is print. Contact us to find out how Vision's Managed Print and Managed Document Services can consistently drive savings, efficiency and continuous improvement. Through our comprehensive tender process, Vision was selected primarily on technology innovation and their approach and can-do attitude and with the aim of making the University more academically competitive through effective use of technology, underpinned by first class service and support. Vision has done just that.